This is an opportunity to meet the people who play Trax. Soon you will be able to tell others about yourself through your My Trax page. 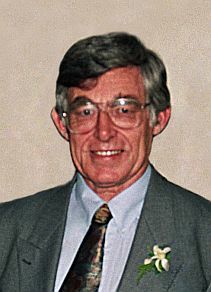 David Smith is the inventor of Trax. He has published over 20 games, but rates Trax as easily his best game. His games have been invented in between his years as a family man, chartered accountant, song writer and businessman. Donald is the current World Champion, and an avid Trax fan, having played Trax since his student days in the mid 1980s. He is the author of a book on Trax strategy, and wrote the software used on the MSN and Traxgame.com lobbies. One of his recent projects was building a Trax playing robot. 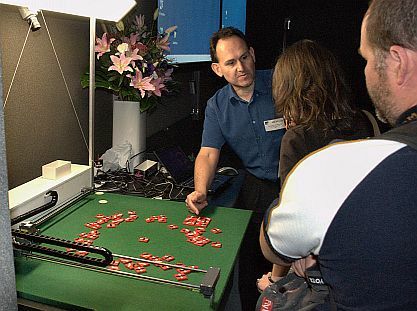 The picture here shows Donald demonstrating the Trax robot to delegates at a conference on robot vision. By day, Donald is a professor at Massey University, where he teaches electronics, information engineering and computer systems engineering. I am a composer and music theorist. I used to design space satellites and systems software, but now I work for a small community college in the UK, following the diagnosis of a chronic progressive health condition. I appreciate games like Trax for their 'look', and have few opportunities to play.